Photos from MechaCon 2317’s Cosplay Contest in New Orleans, Louisiana during the weekend of July 28th - July 30th, 2017. 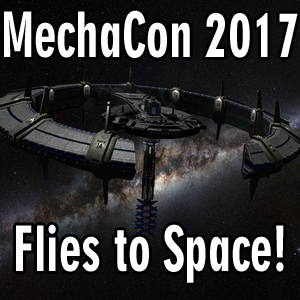 Anime Declassified Podcast – Mission 24 – MechaCon 2017 Flies to Space! Agent Lexi travels to the MechaCon Secret HQ to discuss plans for MechaCon 2017, and how the attendees will be flown to space for a weekend on the Crescent Station orbiting between Jupiter and Saturn.